I am a fully qualified Hatha Yoga teacher to BWYQ Level 4 Certification. I’m able to teach adults of all abilities, ages and levels, including beginners and those seeking to deepen their regular practice. 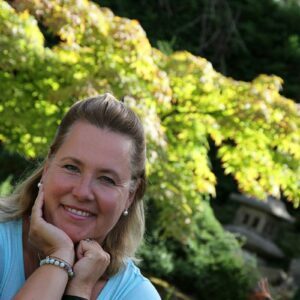 I am also an embodiment coach, facilitator and work in change communications with a range of individuals and companies. I regularly attend development workshops and training events to continue to progress my studies and deepen my ongoing practice. Yoga is a particular favourite in my own daily routine, helping to restore physical and emotional harmony, while bringing inner awareness, self-development and transformation. In addition to my new monthly nurture workshops, I teach a relaxing Hatha yoga class for Thursday lunchtimes designed especially for beginners and improvers. My classes feature a blend of traditional yoga postures, breathing and relaxation techniques to help improve energy and vitality. Each week we explore a different theme including, balance, self-care, clarity, awareness, compassion, challenge, alignment, stress and stability. I also incorporate excerpts from yoga philosophy. If you need to slow down and make time for yourself then this is the perfect class for you.